Imagine being forced to be in wet clothes for a couple of hours or even more. When the mere thought of such a situation makes you so uneasy, just picture how it would be for your little one. Thanks to the wet and dirty diapers they are covered in throughout the day, diaper rashes are becoming quite common in infants. In case you have been on the lookout for some quick and easy fixes for these stubborn rashes, read on to find a list of home remedies that will help you. A diaper rash is a general term used to describe the irritation that occurs in the diaper-clad areas in infants. It is also referred to as diaper dermatitis and is one of the most common kinds of contact dermatitis. Let us now look at the causes of these irritating rashes. There are several factors that lead to the development of a diaper rash. The first and foremost cause is contact dermatitis. If wet or used diapers are in contact with your baby’s skin for too long, it can lead to the formation of rashes. The second main cause of these rashes is a skin infection. Bacteria and fungi are a common cause of skin infections, which lead to a diaper rash. Other than these, certain allergic reactions also cause diaper rashes, but such reactions are less common. Depending on the cause of diaper rashes, they are classified into different types. Irritant Dermatitis: When your baby’s skin is in constant contact with wet diapers, it results in rashes, and the condition is called irritant dermatitis. Candida Dermatitis: Yeast growth is a common occurrence in a wet and moist environment. And diaper-covered skin is one of the best places for yeast growth. This causes fungal infections, leading to rashes on your baby’s skin. The rashes that develop as a result of yeast/fungal infections are termed candida dermatitis. Bacterial Dermatitis: When bacterial infections cause skin irritation or rashes in the diaper-clad region of your baby’s skin, it is referred to as bacterial dermatitis. Allergic Dermatitis: If the diaper rashes on your baby are a result of some allergic substance on your baby’s diaper or skin care products, it is referred to as allergic dermatitis. Any of these factors could be the culprit behind the onset of diaper rashes on your little one. Diaper rashes are also often accompanied by irritating symptoms that can make your infant quite uncomfortable. Diaper rashes could be quite irritating and painful for your little one and hence need immediate attention. 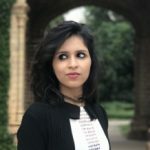 Given below is a list of home remedies that can help relieve diaper rashes in the most effective and natural way possible. Wash your baby’s bottom with warm water and pat it dry. Take some coconut oil in your palms. Massage this gently on the affected area. 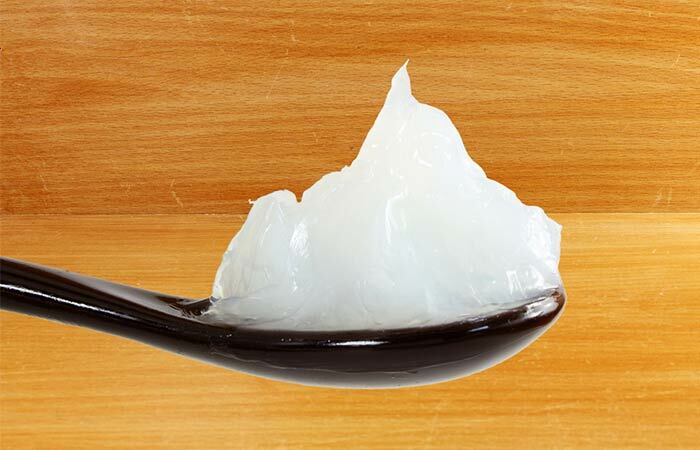 Coconut oil is one of the safest and most natural remedies for diaper rashes. 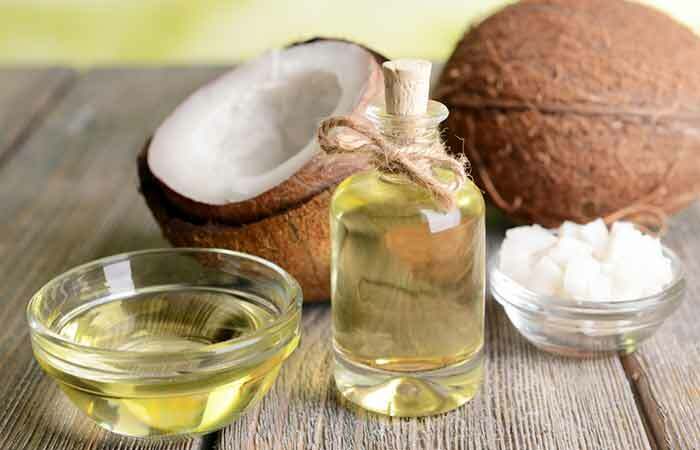 While the saturated fats in coconut oil help in keeping your baby’s skin soft and moisturized, its antibacterial, antifungal, and antiviral properties help treat the rashes (1), (2). Add baking soda to warm water and mix well. Use this water to wash your baby’s skin. Allow it to dry without using a towel. 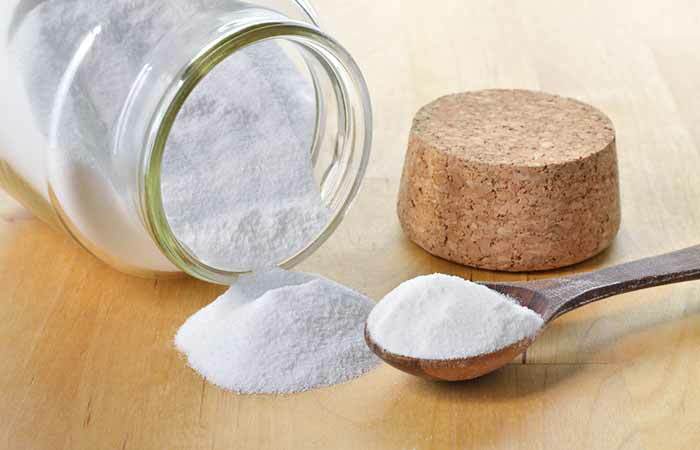 Baking soda, also known as sodium bicarbonate, not only neutralizes acids with its basic nature but also balances the pH of your baby’s skin. This can help combat microbes such as bacteria and fungi that are the common causes of diaper rashes (3), (4). Add a tablespoon of oatmeal to your baby’s bath water. Allow your baby to soak in this water for 10-15 minutes. Oatmeal contains high amounts of protein, which preserves the natural barrier of your baby’s skin. It also contains compounds called saponins that remove dirt and oil from the skin’s pores. 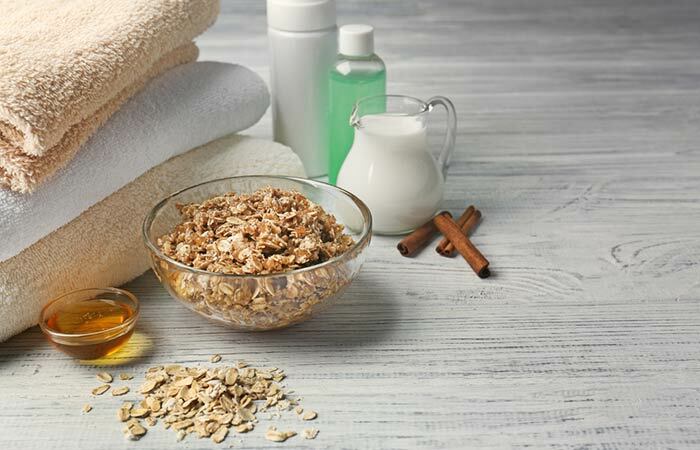 Additionally, oatmeal exhibits anti-inflammatory properties, which can soothe the irritation and inflammation that accompany diaper rashes (5), (6). Mix frankincense essential with coconut oil. Massage this mixture gently into your baby’s clean skin. 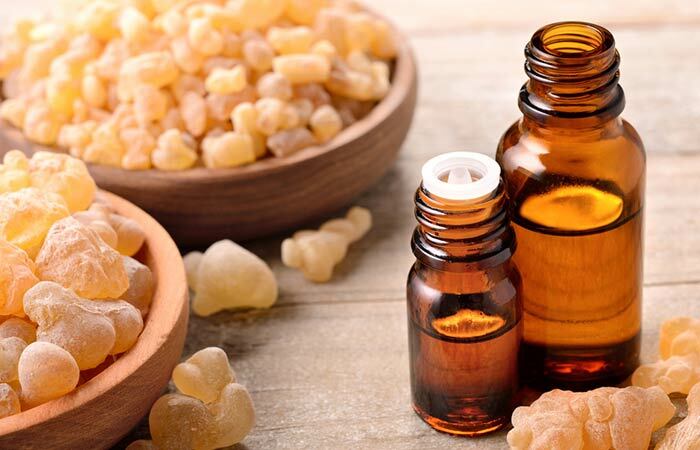 Frankincense oil has anti-inflammatory properties and can help in reducing swelling and skin irritation (7). It also possesses antibacterial and antimicrobial properties that can help in fighting the bacteria causing diaper rashes (8). Gently massage this mixture on the affected area. 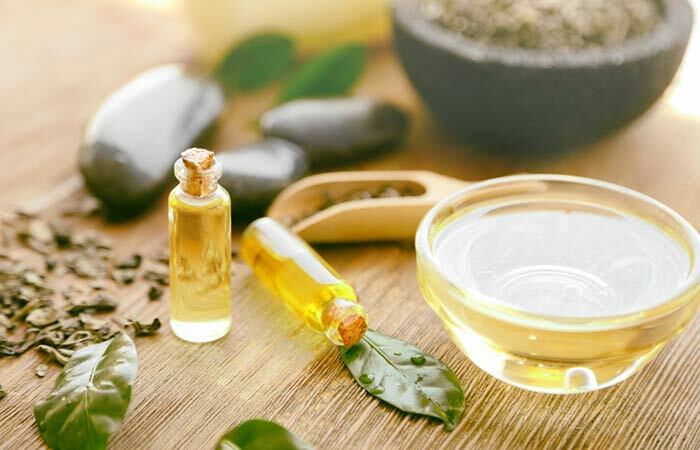 Tea tree oil is widely used to treat a host of skin issues due to its antiseptic properties. The antibacterial, antiviral, and antifungal properties of tea tree oil make it one of the best essential oils to treat diaper rashes (9). 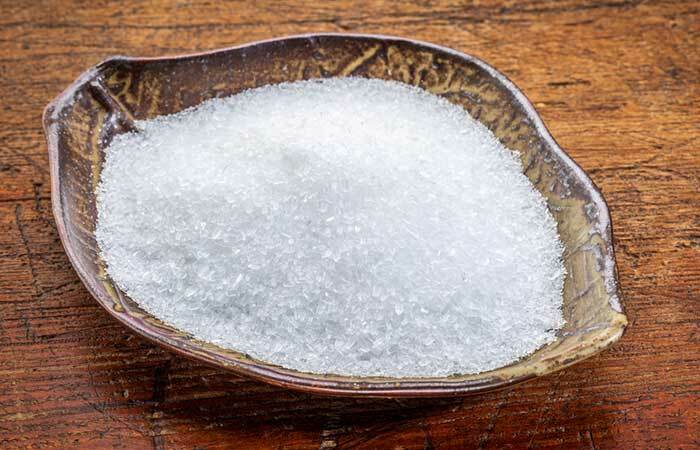 Pour half a cup of Epsom salt in a tub of warm water. Epsom salt, also known as magnesium sulfate, exhibits powerful anti-inflammatory properties, owing to its high magnesium content. This helps in healing the inflamed and irritated skin at the site of the rashes (10). Dip a clean piece of cloth in this solution and use this to wipe your baby’s bottom. 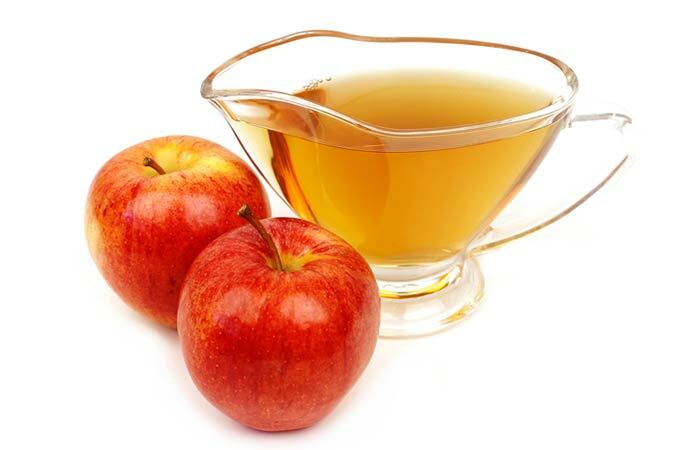 Apple cider vinegar is mainly composed of acetic acid, which is a natural disinfectant. In addition to this, ACV has antibacterial, antifungal, and antiviral properties and can be quite effective against diaper rashes (11), (12). If your baby is ready for solids, make yogurt a part of his/her daily diet. Alternatively, you can also apply a thick layer of yogurt to your baby’s bottom. 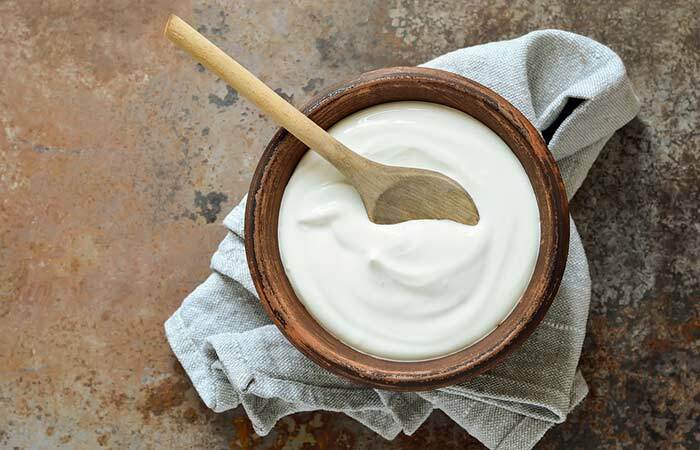 Yogurt is anti-inflammatory and a naturally occurring probiotic that is found to be effective against a variety of yeast and microbial infections (13), (14). These properties make it a great home remedy to treat diaper rashes. Take some aloe vera gel on your fingertips and apply it the affected area. Aloe vera has been used for ages for its healing properties. It can soothe your baby’s irritated and inflamed skin with its anti-inflammatory nature (15), (16). 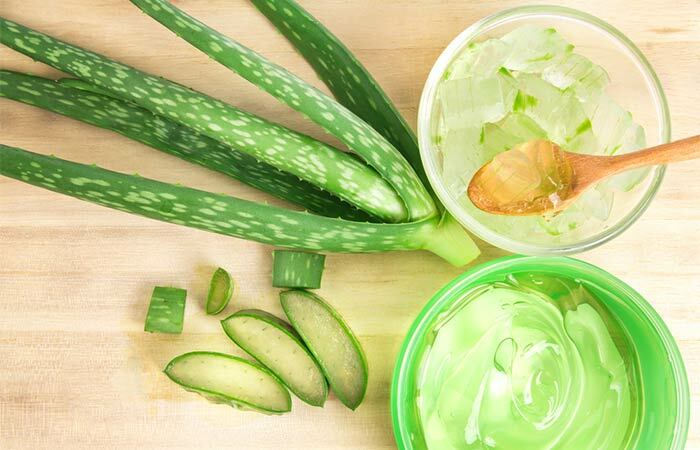 Aloe vera also possesses antimicrobial properties that can kill the bacteria causing the diaper rashes (17). 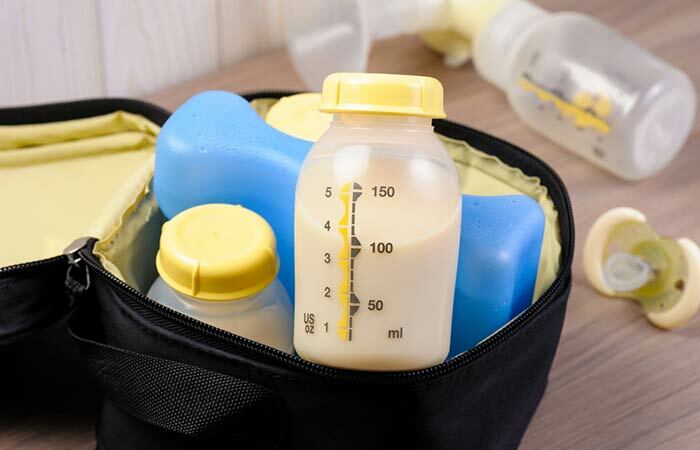 Breast milk is one of the simplest and safest options to treat diaper rashes. You are already aware that breastfeeding your baby will improve your infant’s immunity against various diseases. This potential of breast milk can be exploited to heal diaper rashes as well (18). Simply apply a few drops of breast milk to the affected area and allow it to dry. Add the grapefruit seed extract to water. Spray this mixture on your baby’s cleansed bottom. Grapefruit seed extract possesses powerful antimicrobial properties that can be highly effective against microbial infections that cause diaper rashes (19). Apply a thin layer of petroleum jelly on the affected area. Petroleum jelly is a natural moisturizer that exhibits anti-inflammatory and healing properties, which can help in healing diaper rashes. It also prevents further infection by restricting the entry of other microbes into your baby’s skin (20). Feed your little one about 2-3 teaspoons of cranberry juice daily. One of the main causes of diaper rashes is the exposure of your baby’s skin to urine. The high alkaline content of urine can irritate sensitive skin and cause rashes. 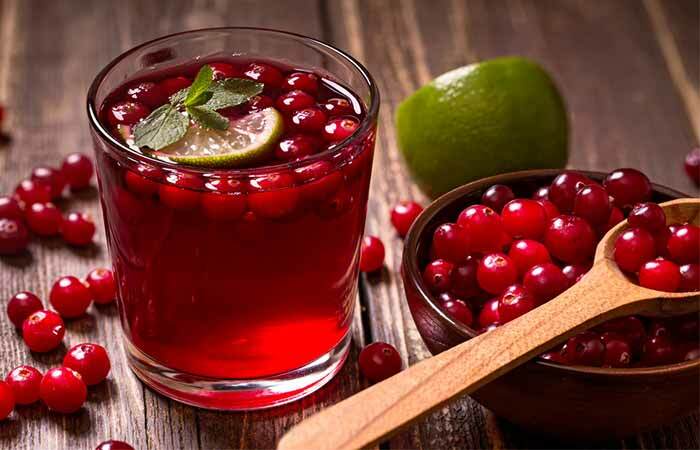 Cranberry juice can neutralize the alkaline content of urine by balancing its pH (21), (22). It also possesses anti-inflammatory properties that can heal and soothe the inflamed skin around the rashes (23). Apply a thin layer of shea butter on your infant’s freshly cleaned bottom. 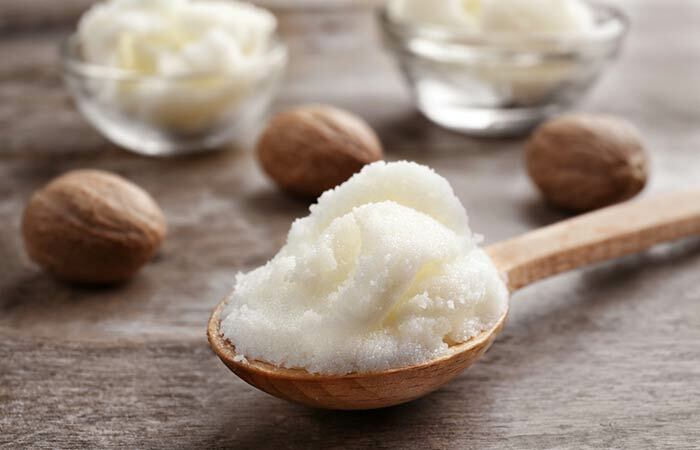 Shea butter is a natural moisturizer. It also exhibits anti-inflammatory and analgesic properties, which can be beneficial in treating diaper rashes. It is also an analgesic and can relieve pain in the affected area (24). In addition to these remedies, you must also follow the tips discussed below to avoid the recurrence of these rashes. It is of great significance that you try to prevent or treat diaper rashes as early as possible to avoid further complications. Diaper rashes, when left untreated, can lead to drastic consequences. Some of the most severe side effects that arise when diaper rashes are left untreated for too long are as follows. If the rashes seem to worsen, please see a doctor immediately to save your little one from further torture. Try treating those stubborn rashes before the situation becomes complicated with the help of the remedies given in this article. And do let us know which ones worked for you. It is best to use natural remedies like aloe vera gel and shea butter to treat diaper rashes. 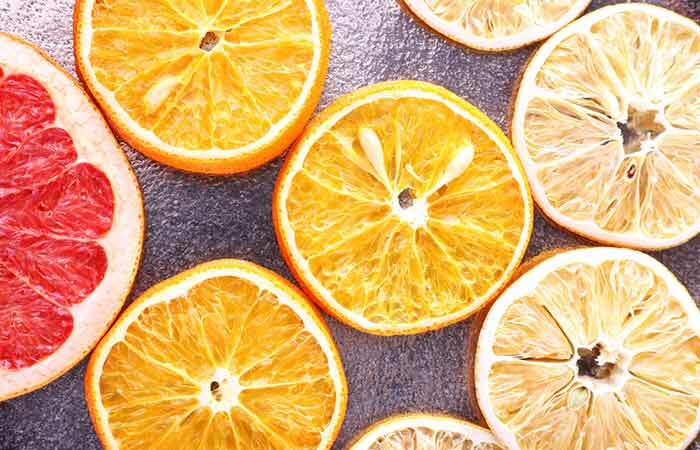 You can also apply vitamin A or D creams topically to heal the rashes. How long do diaper rashes take to heal? With proper care, diaper rashes can easily go away in two to three days. However, in some cases, they may take longer to heal. What foods can cause diaper rashes? If your baby is allergic to foods like dairy products, nuts, citrus fruits, or shellfish, he/she may develop a diaper rash.